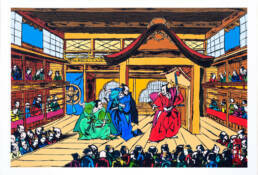 When Ukyio-e prints arrived in Europe they were criticized for lack of use of linear perspective, and early translations of meaning of the ukiyo-e – pictures of the floating world, had that in mind. Objects were not presented in linear perspective and with the use of ma, empty areas, they appeared as they were floating. 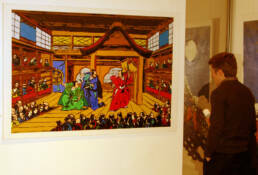 Therefore Japanese visual art was treated as lesser compared to European traditional realistic art. Another derogatory term used for early prints is primitive prints. 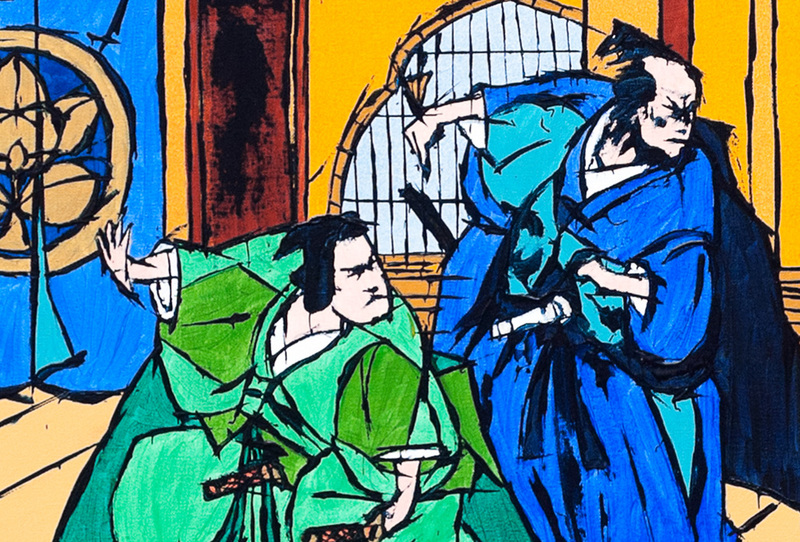 Used to separate early single block prints, therefore primitive in its technique of print, from multicolor prints, sometimes is misused and abused to represent those early prints as naive and simple. It implies that all this was a product of misinformation. Japanese artist were fully aware of linear perspective and they did use it in early period to depict indoor scenes. 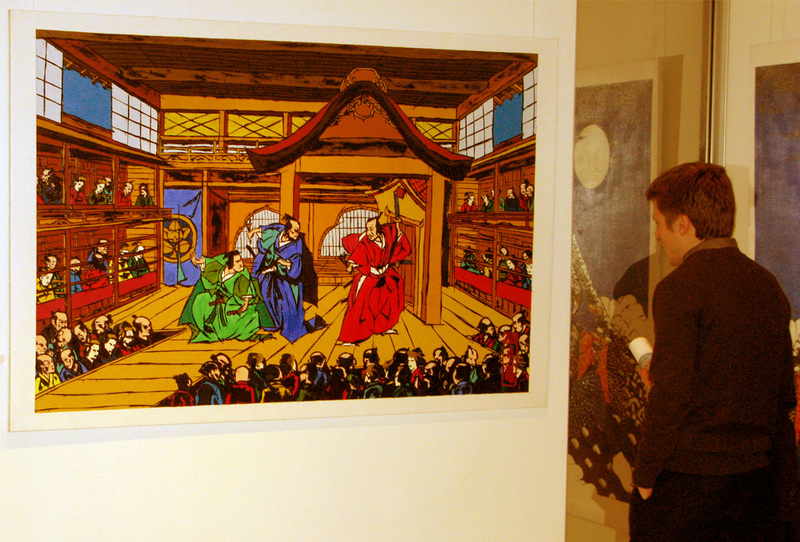 Such views were called uki-e, perspective paintings. 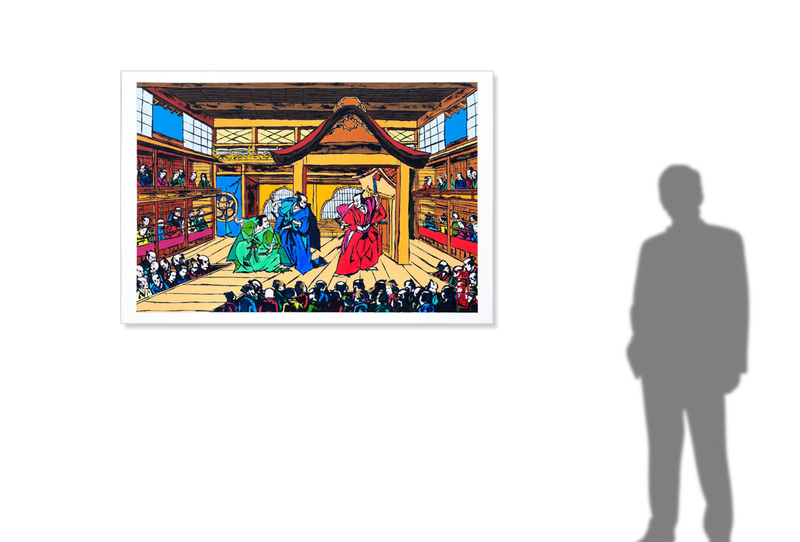 What’s different in Japanese arts from European understanding of depicting realty, this world, floating (passing) world, is that all assets can be used but they don´t have to be. 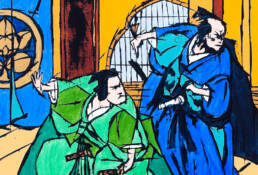 Hiroshige, for example, used 2-3 different linear perspectives to emphasize depth in his views. In early period, when depicting the scenes on the stage of theater, artists often used different linear perspectives and in that way they were separating viewers and space of theater from the reality that was happening on the scene. This free use of linear perspective is nowadays the most eminent in the works of David Schnell. 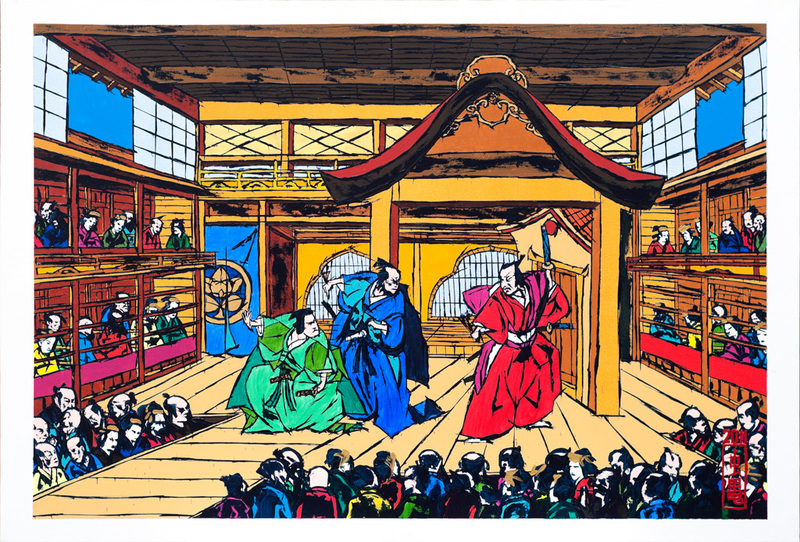 I chose this Masanobu´s view of Ichimuraza Theater for its comic like qualities, almost like someone´s been playing with Italian Renaissance.